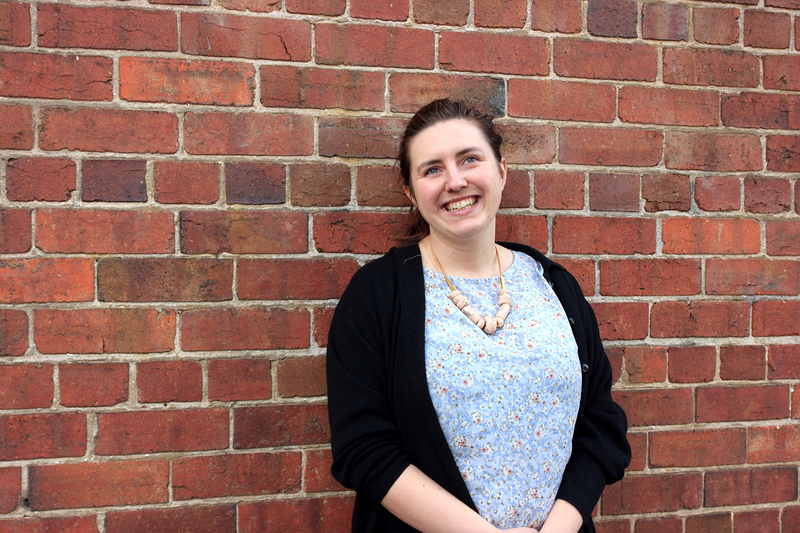 As a Project Manager, Caroline is a key member of IE’s Melbourne ‘Kraken team’. She started in digital at 21 years old, with a degree in Professional Communications, and has since then gained experience working with some of the industry’s biggest clients such as Jetstar, Holden or ATG. She’s incredibly passionate about her team, constantly challenging them to grow, improve and find new ways of working. We asked Caroline to tell us more about her role and how she’s liking working at IE. I started in digital kind of by chance, did my Bachelor’s degree in Professional Communications at RMIT and immediately got an internship at WeAreDigital when I graduated. The internship responsibilities were split between Project and Account Managing, and I quickly realised that I highly enjoyed leading a team. At Uni, I wrote my thesis on digital cultural communications in Victorian Museums. It discussed how social media can be used to engage audiences and encourage them to discover museum collections that are usually hidden in storage units. Digital in the arts was really what sparked my interest and passion for this industry. I can always relate back to that when I’m trying to help my clients engage their audience beyond a website page. One of the experiences that stands out for me in my career, is when I was on a team supporting an automotive client with their transition from a legacy system, to a responsive site. This solution not only allowed them to future proof their digital experience but also dramatically increase sales and revenue. My favourite? The ability to react to the market and push the boundaries is most definitely why I love working in an agency. I get to try out new agile techniques, experiment with ways of working and find the best practices for delivery. The people! Having team members I can count on, they make coming to work a pleasure. As a Project Manager, I’m always thinking about the team – how we can collectively improve the business, how we can support our clients in their growth and how I can challenge the status quo. Oh and did I mention the Friday drinks? 3. Whilst at IE, what have been your key highlights? Great leadership from my Discipline Lead, she’s pushing me to try new ways of working around agile frameworks and it’s been really useful for my personal growth. We’ve launched AfterPay for Sportsgirl this month and it’s been an incredible success, we’ll be deploying it for all the Sussan Group brands, definitely a big highlight of my time at IE so far. It’s also the first time that I’ve worked on 100% agile projects, from the start to finish, it’s been highly satisfying and rewarding. I almost forgot to mention the Cultural Lunches! It’s been such a great experience at IE, it gives you the opportunity to get to know people in a different way, listen to their story, through food. 4. What are the objectives of your role? Meaning, what’s your purpose within the agency? I am the Project Manager across the APT Travel Group and Sussan Group accounts, I oversee the delivery of projects and ensure their quality. I’m the link between the team and the client, managing expectations from both sides and building a relationship with both to ensure we’re doing everything to guarantee the success of the project. Lately, I’ve focussed on improving the way I report on agile projects. Traditional waterfall project reporting doesn’t apply in these cases, and I’ve had to learn and experiment with different ways to report metrics to my clients. This is super important as this information is often used by our clients to work with their own stakeholders, who often come from non-agile backgrounds. 5. What do you like most about IE? Co-locating with our clients has to be up there with one of the best things happening at IE – it promotes transparency and trust, encouraging us to create a different relationship with our clients. I’ve also highly enjoyed the flat structure at IE and the cross-functional teams, you’re really exposed to all parts of the business and it gives everyone a better understanding of IE’s goals and growth ambitions. 6. In a few words, how would you describe the agency’s culture? Cross disciplinary, experimental and lively. Want to plan your next project?